Yesterday I went out to Megamall to investigate rumors that the Transformer is already being sold… And while I didn’t find anything to support such a claim, it was confirmed on Asus Philippines official channel on Facebook. 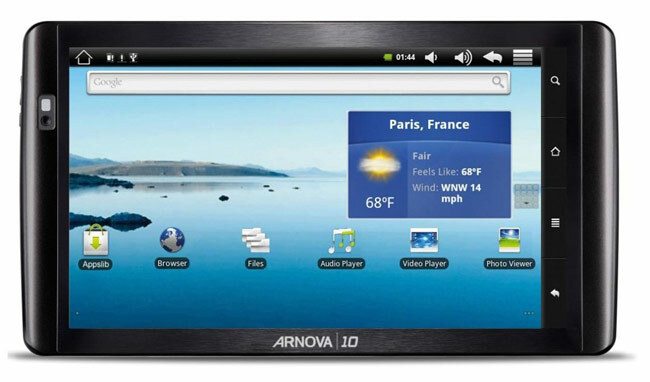 But my trip wasn’t all a waste; I saw this incredibly affordable tablet computer that was being sold by Entry Data Point: the Arnova 10. Archos has its own 10 inch tablet through the 101, this particular variant of theirs is aimed more at the lower end of the market spectrum with its 10k price… that’s right, a thousand for every inch of screen. And so I did a little research… the Arnova actually is supposed to come in multiple variants, the processor range initially was 600Mhz to 1Ghz Rockchip and then upgraded when they came out with the capacitive variant. This means that the 800Mhz model that is being sold at EDP will most likely be one with a resistive screen. There are several videos demoing the differences between the two online and its quite shocking to tell you the truth… But, from the point of view of usability, this particular tablet may just be enough for the average user. With the big screen it is very ideal for reading ebooks and surfing the web, even viewing multimedia but it might lag due to the low clock speed. What is being sold carries the android 2.1 éclair but there are ways to upgrade it if you’re the adventurous type. I can’t vouch for the battery longevity but if the user isn’t into gaming and simply wants a display of this size then this is one of the good alternatives.